I hope this New Year has started off great! 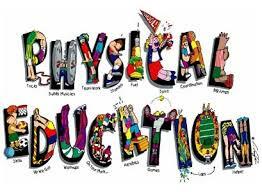 Here at 119 we are looking to get our Home School PE Program up and running for the Spring Session. Below you will find all this information about spring 2017 programming for Home School PE classes offered at St. Vincent’s 119. I will be teaching the gym portion again this year and a few different lifeguards will be responsible for the water/swim classes. This year we will have a Pre-view/Register Day on January 25, 2017 at 1:00pm. Even if you have attended the program before please come on this day to register and for lifeguards to view swimming abilities of each child. We will plan on having registration information and packets available that day. Please have your child come prepared to get in the pool. We will divide groups based on swimming levels and will be doing swim tests for the lifeguards to view the children in the pool. I have also attached this form to this email. Please make sure you read through this information as some of it has changed from previous years. Pricing for spring 2017 is set at $50 per child/per session. Siblings may receive a 20% discount and pay $40. If you have any questions about this program please contact me via email or anyone available in the Children’s Department at 205-408-6556.